~Display the approximate number of the current visitors to the wiki. ~The visitors are determined by recording the IP addresses and timestamps, and counting the number of unique accesses within the past 5 minutes (by default). ~The visitors are counted throughout the entire wiki, not per page, so it makes more sense to place this plugin in the MenuBar, the skin, etc. '''width''' and '''height''' are the default campus size. By default, (80,60) is used. ~Record comments on a separate page. It can display only the recent comments on the place the plugin is placed, or it can display a radio button to specify where to display the comment. ~'''CommentPage''' - the page to record comments. If omitted, the page specified by the PLUGIN_PCOMMENT_PAGE constant is used. The default value is [Comment/(current page name)]. If the specified page does not exist, it will be created when the first comment is posted. ~'''num_items''' - the number of top-level items to be displayed. If omitted, the default value specified by the PLUGIN_PCOMMENT_NUM_COMMENTS constant is used. ~When there is a conflict (i.e., multiple comments were posted at the same time), the comment is displayed at the top or at the bottom (according to the setting) even if the radio button is checked. This is to prevent the comment from being inserted to a strange place. ~When a comment is posted, the plugin displays the message indicating that the page where the plugin is placed has been updated. However, it is the comment page that has been actually updated. ~Since the page containing #pcomment is not updated, it doesn't show up on the "recent changes" page. ~The logging of the old comments is invoked when the number of comments reached to (PLUGIN_PCOMMENT_AUTO_LOG &#65291; PLUGIN_PCOMMENT_NUM_COMMENTS). ~'''num_pages''' - the number of pages to be displayed. The default value is defined as the PLUGIN_POPULAR_DEFAULT constant. ~'''ExcludedPage?''' - the regular expression that definees the pages which should be excluded from the list. The typical examples are FrontPage, MenuBar, etc. ~true, false - whether to use the number of today's visitors only. The default is false. ~Since this plugin depends on the information recorded by the counter plugin, the page without the counter plugin is excluded from the list. A simple way to ensure that all pages are counted is to put the plugin in the Menubar or the skin. ~Display the link to a randomly selected page. ~The pages to be selected from are those under the page where the plugin is placed. 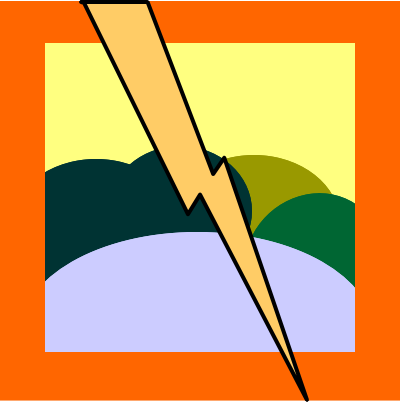 ~When the page is reloaded, a different random link is displayed. ~Display the specified page. If the page doesn't exist, it will be opened in the edit mode. If the page name is an InterWiki, the plugin will resolve it. ~This plugin is internally used when plugin= and cmd= are not specified. Users usually don't have to use it explicitly. ~'''PageName?''' - the page name to be displayed. This must be URL-encoded. Display the latest '''n''' pages among those recently updated. ~'''n''' represents the number of pages to be displayed. The default value is specified by Constatnts. ~Expand the attached file (uploaded by '#attach') in the line. page. Otherwise, display the link to download the file.